The Rebel Sweetheart. : Join | $150 GC & Mixed Bag Giveaway! Let's all welcome October with another amazing giveaway! 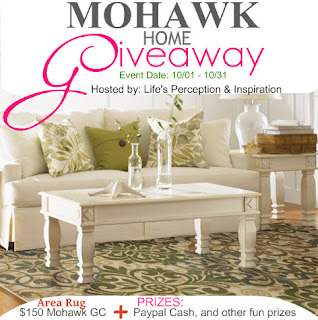 Today I bring you the $150 GC & Mixed Bag Giveaway hosted by Life’s Perception & Inspiration. Ready to win some cash and other cool prizes? Click HERE to view the complete list of PRIZES. This opportunity is open worldwide except for the $150 GC from Mohawk. Enter the giveaway using the Rafflecopter below! Disclaimer: The Rebel Sweetheart shall not be responsible for the shipment of prizes.